1 x 512GB SDXC card with SD Adapter. Optimal speed and performance for SDXC compatible devices. Class 10 speed (based on SD 2.00 specification). FREE SD Adapter is included. Holds countless amounts of data, music, video, images etc. Compatible with a wide range of devices for both SD and micro SD. You can even capture detailed 4K UHD video. There is also validation software available on the Samsung website that you can use to test the authenticity of the card once it arrives. Optimal speed and performance for micro SDXC compatible devices. Class 10 speed (based on SD 2.00 specification). 1 xFREE SD Adapter. Holds countless amounts of data, music, video, images etc. Supports SDHC. Condition is New. 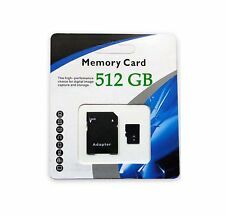 Huawei 512GB Micro SD TF Memory Card Class 10. Condition is New. Shipped with USPS First Class Package. 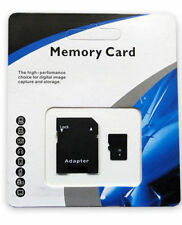 512GB Class 10 Micro SD Card TF. Optimal speed and performance for microSDHC compatible devices - SD adapter and one Reader (color random) is included. hope get your understanding. 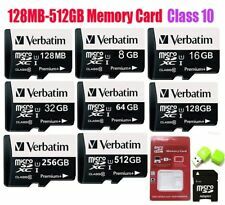 512GB Class 10 Micro SD Card TF. Optimal speed and performance for microSDHC compatible devices - SD adapter and one Reader (color random) is included. Works with Windows, Android and Mac OS. United Kingdom. $Product Details: ---512GB of external memory ---Plug & Play ---Optimal speed and performance for SDXC compatible devices ---Class 10 speed (based on SD 2.00 specification) ---Holds countless amounts of data, music, video, images etc. ---FREE SD Adapter is included Compatibility: ---Mac OS ---Windows ---Android ---Symbian ---Linux Shipping: ---USPS Package contents: ---1 x 512GB microSDXC card with SD Adapter. Capacity: 512GB. Ideal speed and performance for Full HD, 4K Ultra-HD recording and for data transfer between any computer and/or android Smart Phone, tablet PC and DSLR and drone. Shock proof, water proof, X-ray proof and Magnetic proof. Capacity: 512GB. MicroSDXC form factor with SD adapter. Class 10 for Full HD video (1920x1080).